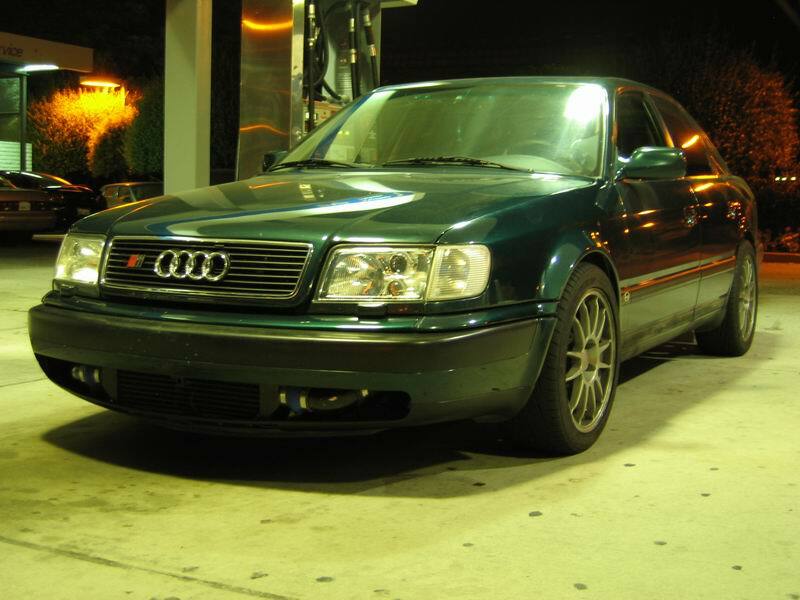 Audi Ur-S4, and Audi Ur-S6 were unofficial names for the original models of the Audi S4 and S6 automobiles. The Ur-S4 was produced from 1992 to 1994, while the Ur-S6 was produced from 1995 to 1997. They both featured a 230 PS (169 kW) 2.2 litre, 5-cylinder engine with turbocharging and an intercooler, with 350 Nm (258 lbft) of torque. In Europe, V8-powered versions of both S4 and S6 were available. The S4 version sported a 280 PS (206 kW) engine (the same "ABH" engine as in Audi V8), the S6 had an upgraded engine "AEC" with 290 PS (213 kW). American versions featured a 5-speed manual transmission and in Europe a 6-speed, as well as a 4 Speed Automatic transmission could be substituted. The 'Ur-' is used in the German language, as a prefix to signify 'ancient' or 'early ancestor' (e.g. : great-grandmother is Urgroßmutter), and is used informally by car enthusiasts worldwide to refer to the original Audi Quattro that was produced from 1980 - 1991 (the "Ur-Quattro"). The use of the term has now been extended to the original S4 and S6 models to differentiate them from later models with the same name, and more recently to the C5 allroad models("Ur-allroad"). The 'S' prefix letter has signified Audi's sporting high-performance production models since the early 1990s. The S4 was the high-performance version of the Audi 100 saloon, and was known originally as the Audi 100 S4. It featured a 20-valve, 5-cylinder turbocharged engine and quattro permanent four-wheel drive, providing outstanding traction and roadholding in all weathers. Befitting its status at the top of the Audi 100 series, it was luxuriously appointed and featured as standard a lot of equipment that was optional on lesser models. The car was available in saloon/sedan and Avant (estate/wagon) versions. 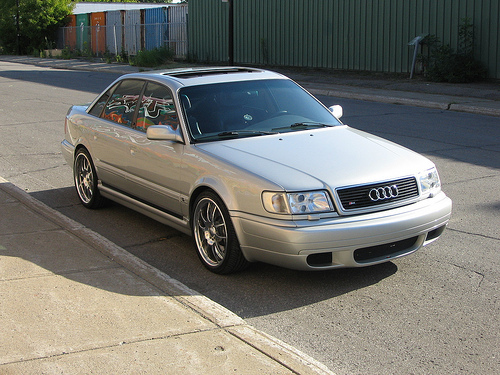 In the mid-1990s, Audi's model designation system changed, with the 80 and 100 series being superseded by the A4 and A6 nomenclature respectively. 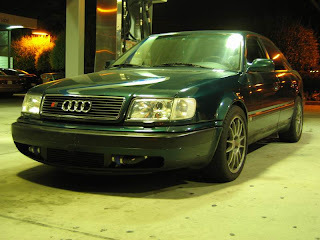 While the A4 was an entirely new car, the first A6 was a facelift of the Audi 100. The changes were minor and mostly cosmetic, and consisted of minor engine and specification changes, new bumpers, wheels, and front lights for an updated look. As the S4 name was now earmarked for a performance version of the A4, the updated performance version of the A6 became the S6. Still sporting the 5-cylinder turbocharged engine, performance was essentially unchanged. Until the introduction of the Audi TT RS in 2009, the 1997 S6 was the last production Audi fitted with the famous 5-cylinder turbo engine that first came to prominence in Audi Quattro rally cars in the 1980s. There was also a European version called the "S6 Plus", which featured a 4.2 litre V8 engine with 326 PS (240 kW) first model from quattro GmbH, Audi's equivalent to BMW's M division. Last updated on 29 October 2013 at 17:53.